Looking for the perfect spot for stashing pirate loot? 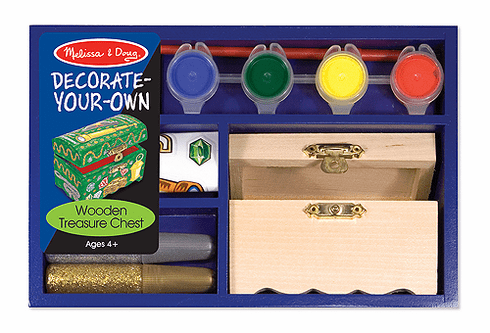 This kit includes a wooden chest, glitter glue, colorful stickers, 4 pots of paint and a brush! A perfect activity for parties or rainy days!